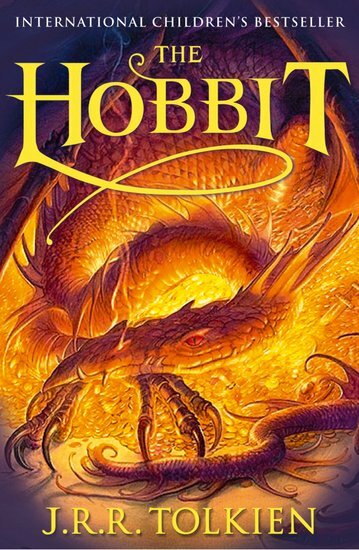 I was speechless by the time I had read this book and I know it sounds crazy, but I want to see a real live dragon just like Bilbo Baggins. this book was epic, just epic! 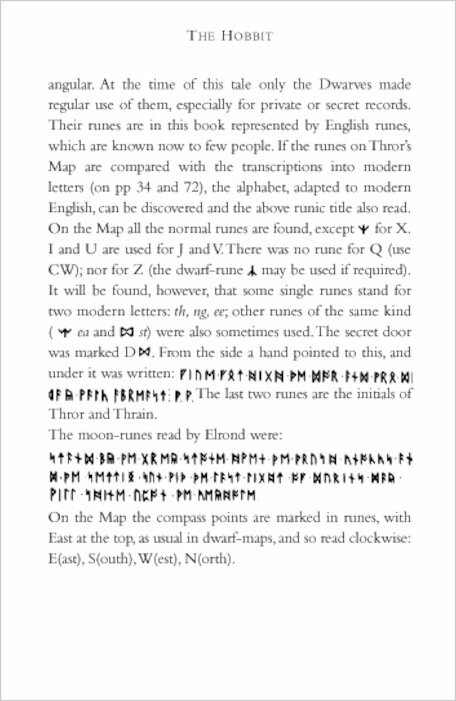 thanks J.R.R Tolkien for writing such an amazing book. 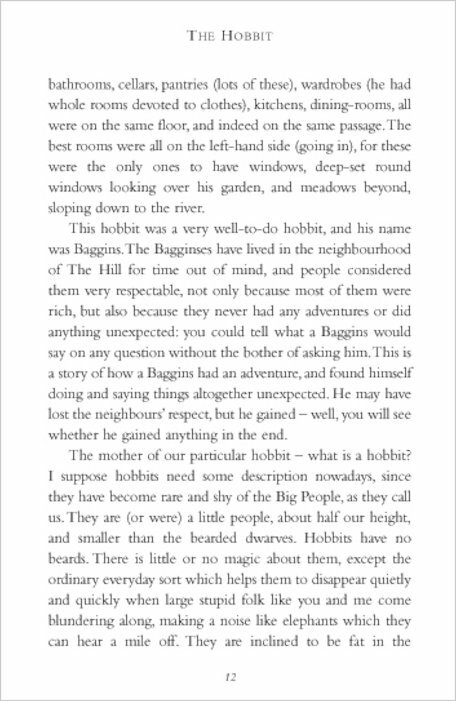 The Hobbit is a groundbreaking story full of action and adventure. There is 1 hobbit 13 dwarves and 1 wizard. You really should read it! I love This book since it is so descriptive. This book shows what real bravery and friendship is. It is a brilliant story, especially if you like fantasy and adventure. I found that J.R.R. 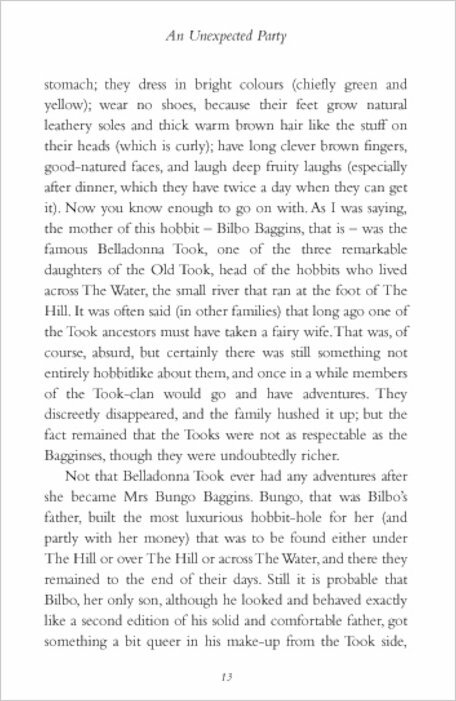 Tolkien made up a lot of new and strange words, for example, ‘combobulated’. 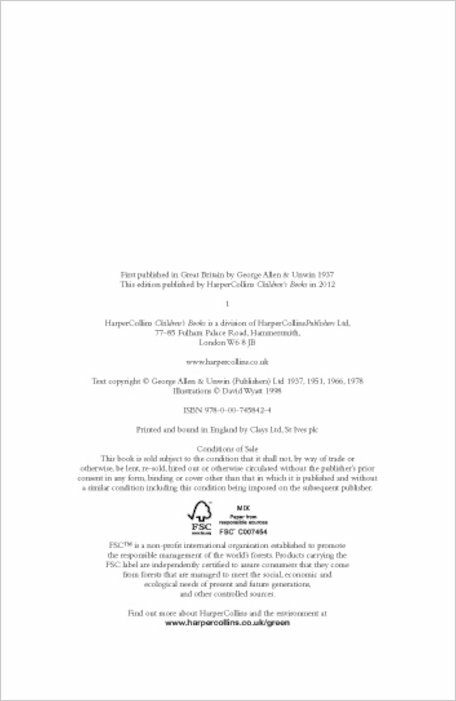 It was quite to hard read at times (especially the long chapters in the forest), but I would recommend this book to people aged 10 and over – including adults. I loved reading this book. Although in my opinion the movie was better. This book is a must! 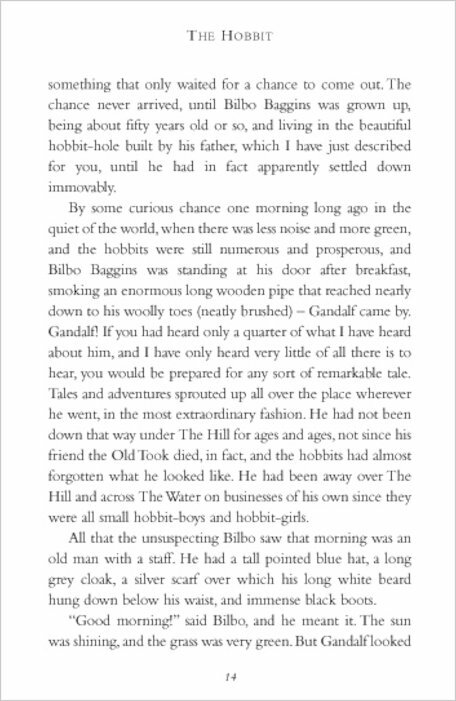 Although, a bit boring in the beginning, after few pages you would wish you could read it whole day. It is too good to be true! Lovely book full of adventure, one of the best stories I’ve read. Beautiful book suitable for most people with engaging plot and great characters, you will love this book! This book is packed full with wizards, dwarves,dragons, mythical creatures and beards.i. Would definitely recommend getting your head stuck into it. 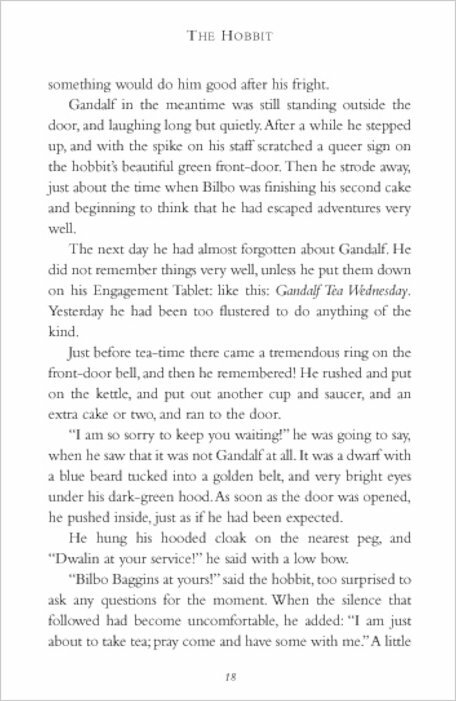 It is an amazing book, I have watched all of The Lord of the Rings and seen the two Hobbit films that are out. This book is great for everyone who has seen the films the books are a lot more detailed. I love this book It’s full of unexpected happenings and it makes you want to read on. There are funny parts, sad parts, happy parts and scary parts.there all in the right order so you don’t get confused, and if there’s a word you don’t know ing will be in small writing at the bottom of the page. 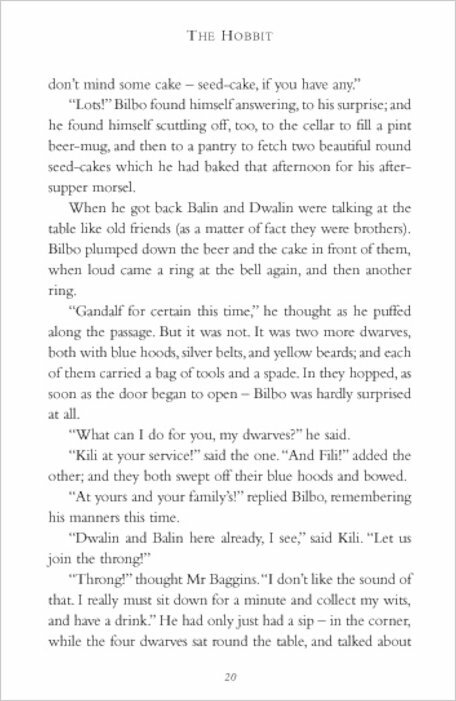 The Hobbit was a great book although I did find Lord of the Rings knowledge may be needed- of which I don`t have much. 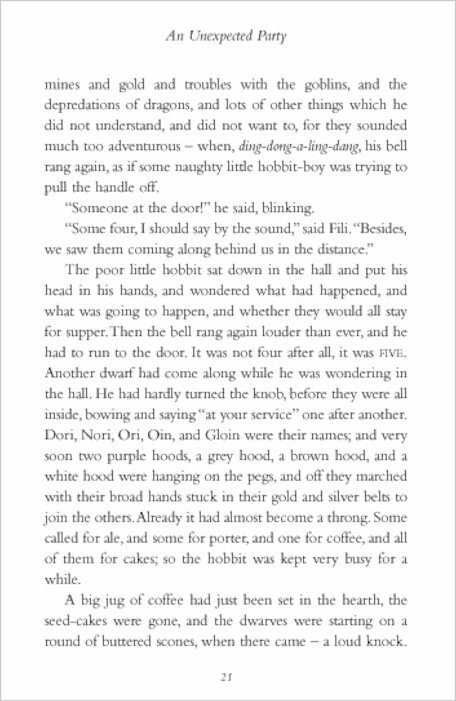 The Hobbit follow the story of Bilbo Baggins who is volunteered for a journey by Gandalf the wizard and a group of 13 dwarves (hence an unexpected journey) to get back the Dwarves treasure from Smaug the Magnificent the large, perilous dragon. 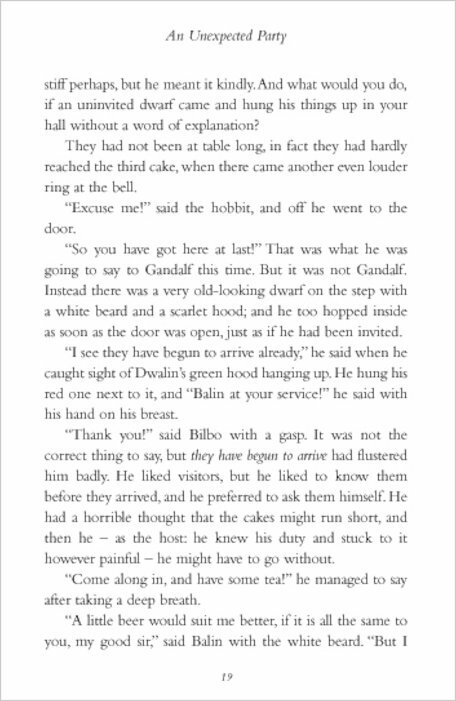 The book’s moral for me was that despite being small you can still become a hero which Bilbo demonstrated perfectly. 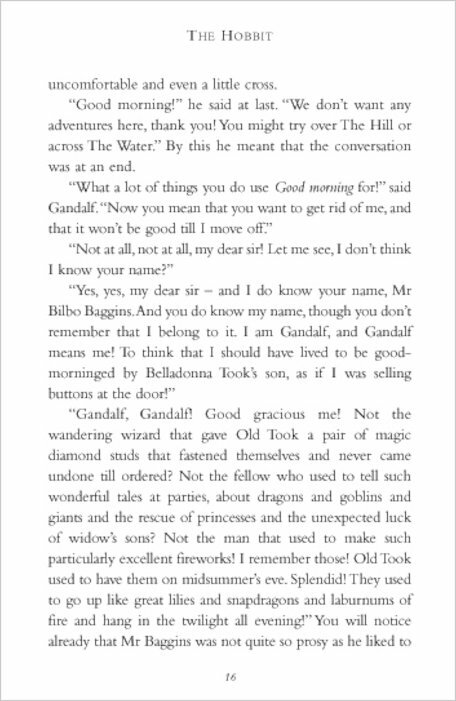 I rate this book 8/10, a must read- it probably would have better if I had more knowledge of the Lord of the Rings (but I am not saying don’t read this book if you havent read the Lord of the Rings). OMG it’s an amazing book. Its a “got to read” book! I’ve even watched the movie!!! ahhhh amazing! 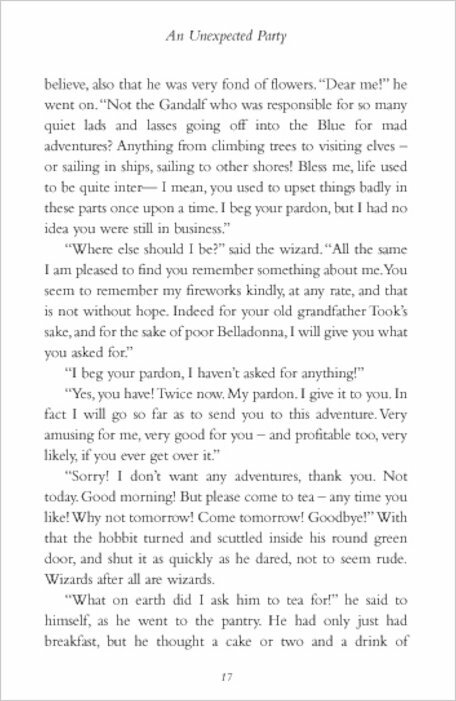 Bilbo bagging is a very funny character. It’s book had me hooked all the way. I would highly reccomend to anyone. I hated this book, it sent me to snoozeville! So boring! I have just finished this book and it is great. 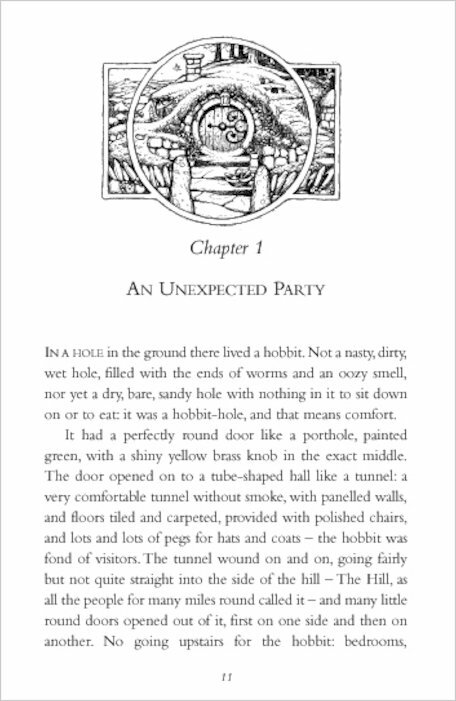 It is about a little hobbit called Bilbo who is taken on a adventure with some dwarves and a wizard to defeat the great dragon smaug and take its treasure. This seems like a fantastic page-turner. A gripping read, suitable for anyone who loves a fantasy adventure page-turner, wrote in a unique way and utterly epic. I love it it looks so interesting and it looks like the next big thing after Harry Potter cant wait to read it!!!! 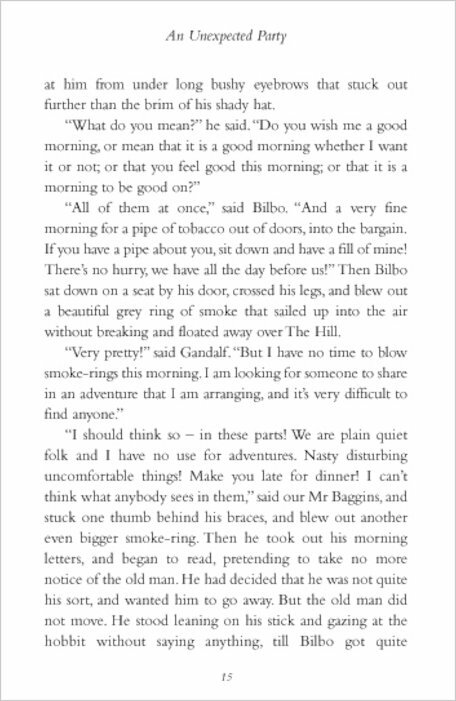 The Hobbit is one of the best books I have ever read- it has adventure, action, mystery, happy parts and sad parts. 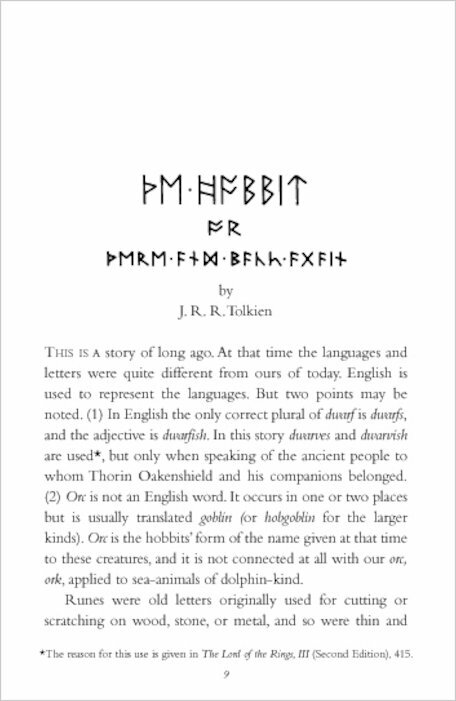 Some people think that The Hobbit is just for boys, but I think that anyone can read it, and be mesmorised by the magical tale and funny characters! 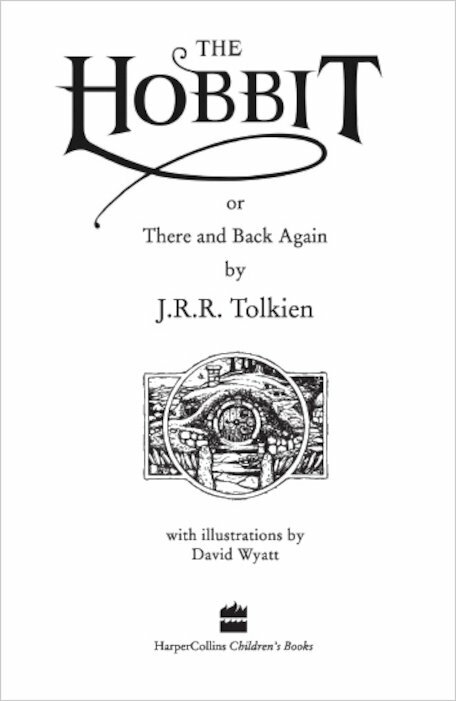 I loved this book my favorite author is still J.K Rowling but J.R.R Tolkien jumped to second place. This book is brilliant. I loved the dwarves song about the treasure and Smaug,The dragon.